For all those who think that the girl in the picture is just having a bad hair day, this post is just for you. You would have observed when you remove certain clothing there is a slight sparky noise or sometimes when you touch a doorknob you get an electric shock or sometimes you find it difficult to comb your hair because you hair seems to have developed a sudden affinity for your comb. Well, fret not. 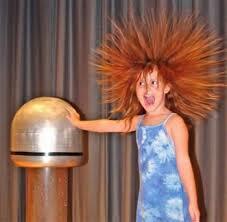 What you are experiencing is the fascinating phenomenon of Static Electricity. The underlying reason is the chaos of electric charges that surround us. We all would have experienced lightning. Sometimes they can get really scary while otherwise a very fascinating phenomenon. Lightning is a mega electrostatic discharge that occurs in the clouds. This phenomenon and many such intriguing events, hint at the infinite possibilities of Physics. 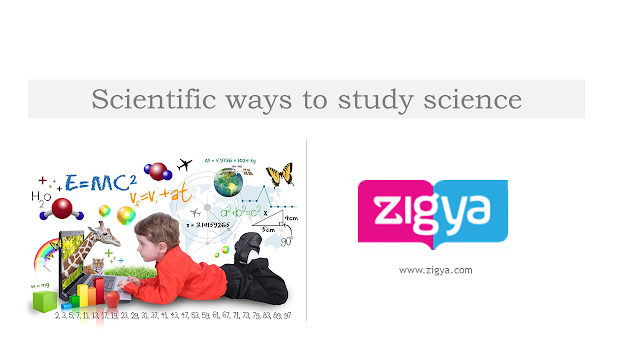 Physics, as a subject is fascinating and so is unraveling its mysteries. 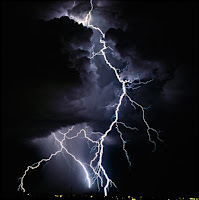 Lightning perhaps, is the most powerful display of electrostatics in nature. 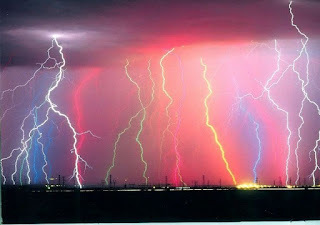 If you are fortunate to be in the open during a storm, you’d be fascinated with the many lightning streaks that you see. It has a mesmerizing effect, but can also be dangerous – resulting destruction of properties or loss of life. It was lightning that got Benjamin Franklin curious about, which eventually led him to discover electricity. So How is Lightning Formed? Lightning is due to an enormous built up of electrostatic charges being built up. During the times when the ground is hot, the atmosphere gets heated up through convection, and the warm air rises up. This forms clouds, which get bigger and bigger. As the cloud moves up, the temperature reduces and turns the water vapor into ice. These small bits of ice bump into each other, building up electrical charge. Gradually, the cloud gets filled with electrical charge. The heavy negatively charged particles sink to the bottom of the cloud and the positive charges stay at the top of the clouds. When the build up of the potential is high, a giant spark occurs within the cloud between the two oppositely charged particles and causes the discharge. Sometimes, this giant spark happens between the cloud and the ground. As negative charges appear at the bottom of the cloud, it forces the negative charges to be away from the surface of the ground, leaving it positive. As the two opposite charges attract each other and connect, a pathway is created for the electrons to jump to the ground. And, this is what we see as spark of lightning. Why do we see branches in the lightning spark? Every charged particle needs the least resistance path to travel. When weak and loosely bound charged particle travels through air, they split and try to find the path of least resistance. The splitting of charged particles result in what we see as the lightning branches, also known as forked lightning. 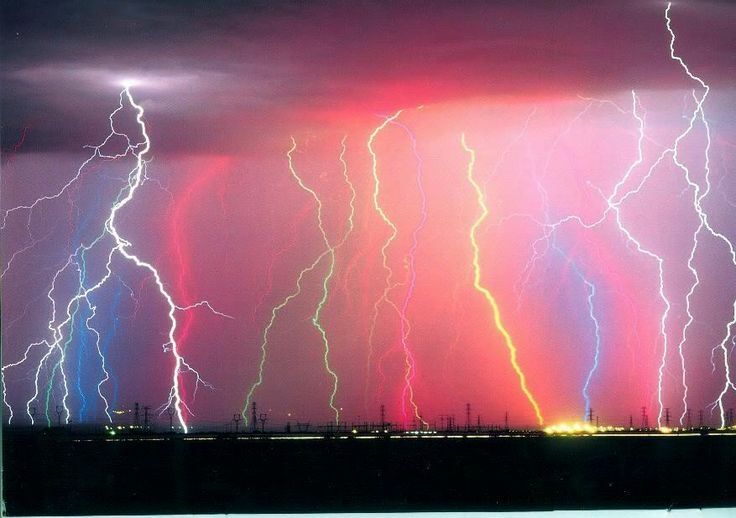 When does lightning appear colored? The spark that emerges is a pure white light. However, various atmospheric conditions like presence of water vapour, dust, pollution, storm etc. and temperature variations in different layers of atmosphere tint the spark into a magnificent hue of electric colors like red, orange, yellow, blue etc. The typical white lightning is due to the phenomenon of incandescence (emission of electromagnetic radiation from a hot body as a result of its high temperature). Hotter the bolt, whiter it will appear. Red or orange colors are exhibited in the colder regions. The entire event of lightning is a complex dance of electrons in the atmosphere and is accompanied by thunder. Next time you see lightning, find out whether you hear the thunder, before or after the lightning? Though dangerous if you’re out in the open next to tall trees, it does give a visual treat to some and scares the wits out of others. What effect does it have on you?